The Dancing with the Stars cast and crew were injured after one of the tour buses for the DWTS: Live! Light Up The Night show bound to Iowa got into a fatal, multi-vehicle crash. At around noontime on Monday, the Iowa State Patrol responded to a traffic accident on I-35 involving approximately 70 vehicles, Mirror UK reported. Speaking to E! News, the ISP said one person was reported dead on the spot, while five others incurred critical injuries. 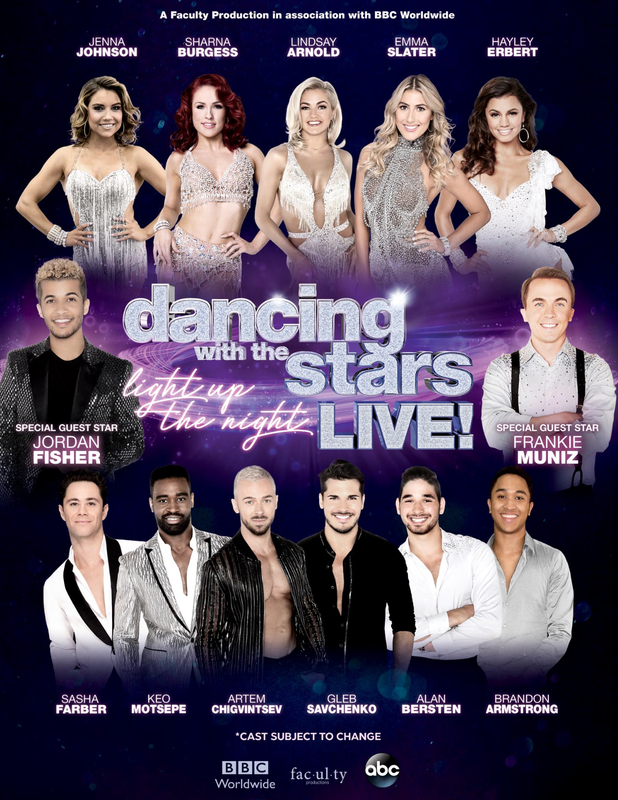 A statement from the DWTS tour production team confirmed that one of their tour buses was included in the vehicles that collided and eased fans’ worries about the condition of the members of the cast and crew of the live tour. “One of the tour buses transporting cast and crew of Dancing with the Stars: Live! Light Up The Night was involved in a multi-car accident this afternoon due to bad weather while en route to Ames, Iowa,” the statement posted on Instagram read. Before the accident, Malcolm In The Middle star Frankie Muniz, a runner-up joining dancing pros and DWTS Season 5 winner Jordan Fisher in the 71-date tour, posted an update on Twitter about the inclement weather he witnessed from inside the bus he was riding. Mirror UK noted that it wasn’t immediately clear whether Muniz was riding the bus that was involved in the accident. Because of the unexpected turn of events, the Dancing with the Stars show at Stephens Auditorium in Ames, Iowa is canceled until further notice, the Stephens Auditorium Facebook page confirmed. As of this writing, there is still no update whether the Dancing with the Stars: Live! tour set for Tuesday in Rockford, Illinois will push through. What we do know for sure is that the cast and crew’s health is being prioritized, based on the statement from a DWTS spokesperson posted on Instagram. Jordan Fisher, one of the celebrity performers in the show joining pro dancers Sharna Burgess, Jenna Johnson, Alan Bersten, Hayley Erbert, and others, imparted a message to DWTS fans shortly after news of the accident emerged. Meanwhile, Iowa DOT shared an image of the crash site involving the DWTS tour bus. As of 6 p.m. on Monday, the highway has been reopened for travelers North- and South-bound. This article will be updated as soon as more information is released.